Have you ever tasted lamb? salt on them. Put them on a large baking pan. Put the meat above them or in the middle. Chop up the garlic and add it too. food. For more aroma in your plate and of course unique taste, we will use origan or thyme! Finally add a small glass of water. That looks so yummy!!!! Thank you for the recipe! Oh how I miss lamb! My grandfather and my dad raised sheep so I grew up on it. I see it in the markets here now & then but it's pretty pricey. 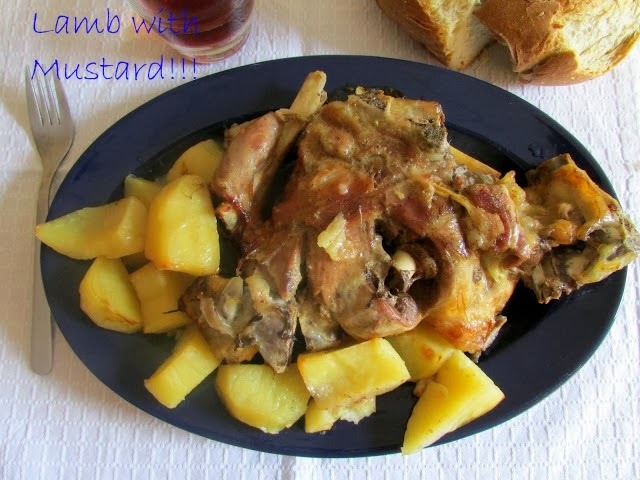 My grandma used to serve lamb roast with mint jelly, though that's about all I remember lol. Lamb burger and chops were my favorites though. :)Thanks for bringing back the memory! Lamb with mint jelly? sounds great! Sounds great for Easter or anytime. yeap indeed it is really yummy for Easter or for just every time.